Over valued with no fda approved drug PHARMACYCLICS (PCYC) at 63.25 ? FDA designates Orphan Drug Status for Pharmacyclics Inc's (PCYC) chronic lymphocyctic leukemia treatment. PCYC is now in overbought zone. What is Orphan Drug ? An orphan drug is a pharmaceutical agent that has been developed specifically to treat a rare medical condition, the condition itself being referred to as an orphan disease which has small market. Revenue for the fiscal quarter ended September 30, 2012 was $102.7 million, compared to $37,000 for the fiscal quarter ended September 30, 2011, an increase of approximately $102.7 million. 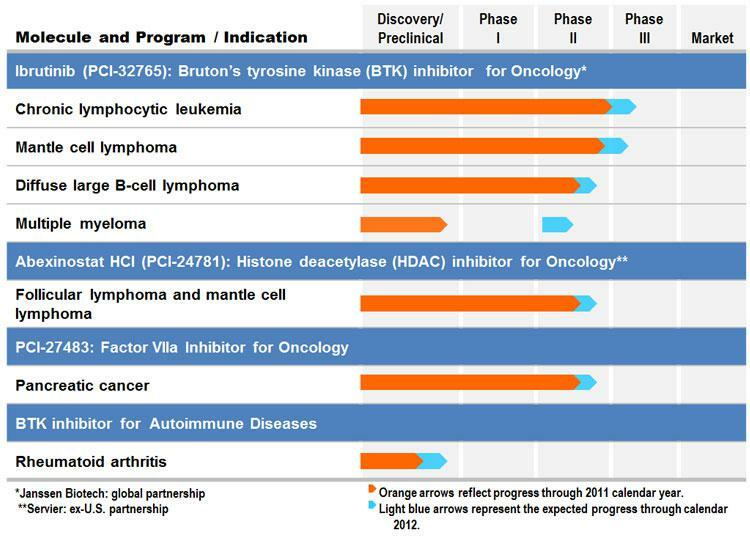 Revenue for the fiscal quarter ended September 30, 2012 consisted primarily of $100 million of license and milestone revenue due to the Company's achievement of two clinical milestones in connection with the Company's collaboration and license agreement (the "Agreement") with Janssen Biotech, Inc. ("Janssen"). When will PCYC get its first FDA approval ? Based on the data, if everything goes right, PCYC will be able to submit its drug for FDA approval late 2013 or early 2014. It takes 6-9 month for FDA to approve any drug. It will be around 2015 when PCYC will be able to generate any revenue from sales and marketing of its first drug. Why is PCYC trading at 63.25 ? There are lots of hedge fund manager sitting on this stock based on speculation that something miracle will happen. What is PCYC performance in last 5 year? In last 5 year, PCYC is up 61.25 point or 2911%, In one year its up 50.86 point or 410%, year to date its up 48.86 point or 326%, 6 month its up 24 point or 64%. Conclusion: Based on the valuation, small market target and having no fda approved drug in PCYC profile, 63.25 is way too high.